Is it Time to Replace Your Hearing Aids? If you have an older ear horn of a hearing aid, it’s time to replace it. The question is, should I do it today, or should I wait? Your hearing aids seem like they still work, right? Did you realize they are more than a decade old? Do you assume that your outdated hearing aids are fine? Ask yourself “what is the real cost”? We have made many huge developments in hearing aid development in last few years. We’ve moved from analog to digital, first of all, and there are functions now that weren’t even in the design phase 10 years ago. 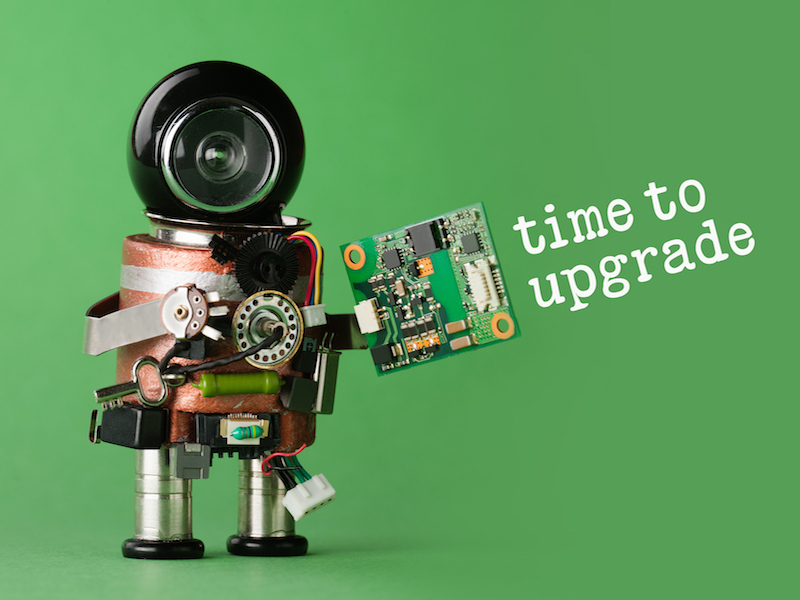 Take into consideration some reasons why it is time for you to be considering an upgrade. There is an aggravating buzz you can hear sometimes with outdated or cheaper hearing aids. And what about that feedback whenever you go near a phone, that’s lots of fun. Then for no apparent reason at all, it starts to make weird noises. “What now”? It’s not unusual for you to sit by yourself and miss out on the stimulating conversation. How about the time when your hearing aids wouldn’t stop shutting off while your grandson was singing a little song he practiced at school. But you still clapped. Older hearing aids come with all of these Problems. The attention ten years ago was on raising the volume. Today’s technology filters out frustrating loud background noise like a humming fan. That fan was really not as noisy as those old hearing aids made it sound. One consideration when you are purchasing new hearing aids is undoubtedly cost. Wearing outdated hearing aids won’t be any less expensive than buying new ones ultimately. Analog devices require new batteries a lot. It can get costly to replace the batteries once or even a couple of times a day. Let’s not forget the service costs with out of date technology. You can compare it to dealing with an old truck. Repairs are expensive when your hearing aid is in the shop more than it’s in your ear. The majority of modern hearing aids come with Bluetooth capabilities. Obsolete analog devices won’t have that. With the new Bluetooth technology you hear the tv, Your cell phone, or your computer with your hearing aid. It’s Tough to Manage in Life if You Have Trouble Communicating. Research shows that hearing loss often means a smaller pay-rate. Who wouldn’t want an asset in their career? high-quality hearing aids are that asset. You will hear your boss and customers better. You will follow directions without wondering if you got it right and will take part in important discussions without having to worry about whether your hearing aids will work or not. Of course, stronger communication means a better quality of life, also. No more getting caught in the middle of conversations that you can’t even hear. Go ahead and mingle liberally now that you can hear. When you glance in the mirror at your out of date hearing aid, what words come to mind? Clunky? Noticeable? Seriously?? When you replace your old hearing aids you have the significant benefit of better flexibility and superior style. Current hearing aids come in a range of shapes, sizes, and colors. You can have one concealed so tightly in your ear, that no one will ever see it, or you could make a fashion statement by getting a visible hearing aid in your favorite color. When is it Time to purchase a New Hearing Aid? Your hearing has changed. you’re not hearing as well as you once did even with the hearing aid in your ear. Your lifestyle has changed, and your hearing aid has a tough time keeping up. It’s difficult to take it out just so you can have a conversation on the phone, or maybe you’ve switched jobs and now you need to manage more background noise. Your hearing aid keeps cutting out. It’s just not reliable anymore, and that’s a concern. You know for a fact that your hearing aid is not digital. Ouch, time to go digital. Your hearing aid feels heavy. Clunky, older technology is heavier. You are replacing the batteries constantly. Modern hearing aids are much more energy efficient and some come with rechargeable batteries.